A few years ago, Hildee let Jim Rome know that we were working on a song in tribute to everyone's favorite engineer Alvin Delloro. It has finally come to fruition, and you can download it by signing up to our mailing list, or listen to it on SoundCloud. Our first full-length album is finally here! 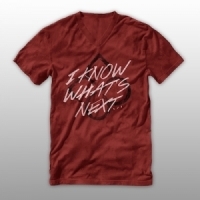 I Know What's Next...But You Won't Believe Me is available on iTunes, Google Play, Spotify and more. You can also buy physical CDs and new t-shirts on our store. All Kickstarter rewards should have been received at this point - if you have any questions, feel free to reach out to us on facebook or email us at info@manicbloom.com. 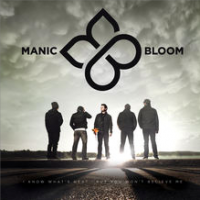 Manic Bloom Album Release party! Eight years after forming in a room where the only pieces of furniture were a piano bench and a drum throne, Manic Bloom has found its voice. It wasn't the delusion of grandeur or the promise of fame that inspired the five members to let go of everything and pursue their musical ambitions. That isn't quite the style of Nashville, Tennessee's "Epic Melodic Rock" band. 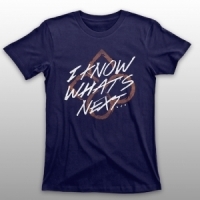 In their 2015 release "I Know What's Next...But You Won't Believe Me," listeners can hear some of the thoughts that were going through their heads. Visions of hope met with brutal struggles. Intense passion confronted with equally concentrated opposition. This dichotomy is what defines Manic Bloom, according to keys player Jeff Hildebrand. "The reality is that we all live in conflict. However, we've seen over and over again that if we persevere, the result can be beautiful." And persevere they have, gaining airtime on MTV, the Jim Rome Show and the Oxygen channel. They also found themselves as the exclusive background music for the videos of internet sensations Dude Perfect, whom have over 70 million views on YouTube. "Almost immediately after [Dude Perfect] used our music, we started getting emails from people all over the globe," recalls frontman David Joel Stevenson. "We were having to use online translators just to communicate with fans - it was surreal." Manic Bloom approached the process of recording IKWNBYWBM differently than their first two EPs. Though still completely self-engineered and produced, "we were very intentional while recording this time around," said bassist Andy Neale. "We were not going to be satisfied with just releasing a handful of new songs. We threw parts away and re-recorded entire tracks multiple times, and several melodies were rewritten weeks after we thought they were already solidified. We even completely scrapped one song because it didn't fit the cohesiveness of the others." After emerging from their basement studio, which they have nicknamed "The Dungeon," they called upon mixing engineer J.R. McNeely (Relient K, Thousand Foot Krutch) and mastering engineer Brad Blackwood (Maroon 5, twenty one pilots) for the finishing touches. 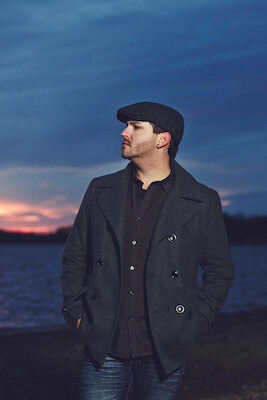 "[For this project], we focused a lot more on what's in front of us," said guitarist Matt Lawrence. This album is about everything after this moment. We're not stopping." 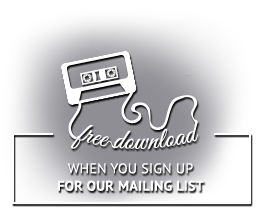 Receive free downloads when you subscribe to our mailing list and follow along with us. Your email address is the only thing that is required – everything else is optional.